We congratulate Spectris plc. 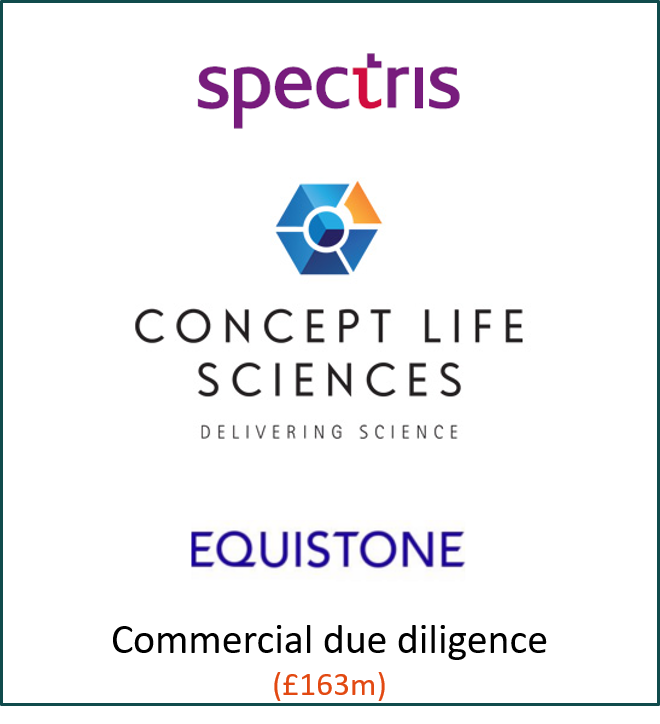 on the successful acquisition of Concept Life Sciences from Equistone Partners. AMR International conducted the Commercial Due Diligence on this provider of preclinical test services that supports pharmaceutical and biotech R&D. The CDD focused on its integrated-service proposition and the outlook for the growth in outsourced preclinical services, driven by the quest for higher R&D productivity.